Dr. Aniruddha Malpani is a consultant IVF specialist , who runs one of India’s leading IVF clinics at www.drmalpani.com, along with his wife, Dr Anjali Malpani. They have founded HELP, the Health Education Library for People (www.healthlibrary.com), which is India’s first Patient Education Resource Center . He has authored many books, including : How to Get the Best Medical Care; Successful Medical Practise; Patient Advocacy - Giving Voice to Patients; Decoding Medical Gobbledygook; Using Information Therapy to Put Patients First; and Patient Safety - Protect yourself from Medical Errors all of which are online at www.thebestmedicalcare.com. His passion is patient empowerment; and he believes that using Information Technology to deliver Information Therapy to patients can heal a sick healthcare system. 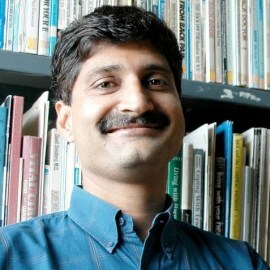 He is also an active angel investor ( www.malpaniventures.com). He invests across all domains, and admires entrepreneurs because they have the potential to change the world !